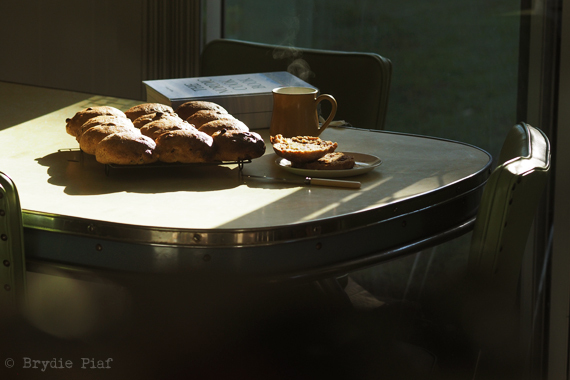 This entry was posted in Baking Bread, Rambles, Waffles and Digressions and tagged best hot cross buns recipe, easter buns, fruit buns, hot cross buns, slow living by cityhippyfarmgirl. Bookmark the permalink. Thanks Sarah. Hope you did too. Just your average day here too…you know watching a helicopter drop Easter eggs for the kids. Chocolate rain! Hello hello! Divine buns Brydie. We enjoyed all the wonderful festivities the Snowy Mountains offer over the weekend – art, craft and fetes. I always try to avoid the commercial easter egg hunt every year but then give in and end up at the small Woolies the night before and buy the last two bunnies left on the shelf. It’s all for show so my in-laws don’t think the children are deprived. I know ridiculous but when you don’t celebrate anything else I guess the importance of unethical chocolate and celebrated in the wrong season is super important! Woops, airing my ‘dirty’ laundry here. Sorry! Ha! I so hear you Zena, you know I do. My eldest was asking a lot of questions and we were discussing hot cross buns, chickens, rabbits, eggs, chocolate, palm oil, mass purchasing…. Say it all out loud and that’s a crazy concoction of commercialism right there. I made Celia’s hot cross buns. First batch I didn’t get perfect but second looked amazing and tasted the same. Didn’t eat any chocolate yet but that’s fine since I’m silly and decided to diet in the middle of two holidays. Happy Easter! 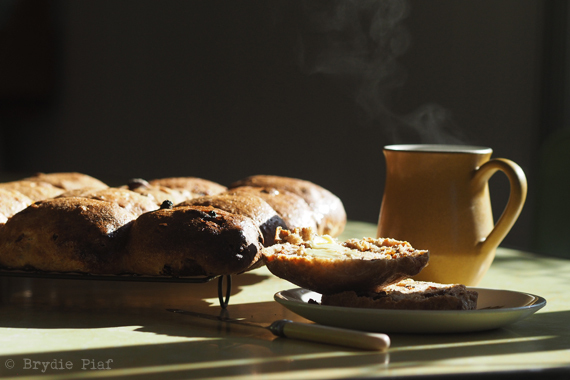 Oh those buns Brydie…and that captured tea steam in your photos. A beautiful pause indeed.